Robin, Lamoni Iowa. March 18, 2019. This is a happy sign! Real spring might be arriving soon! This is my first robin of spring, not to see, but to photograph. This is our first spring living in Lamoni. I first spotted robins on March 17 this year, and captured this image March 18. This feels late. 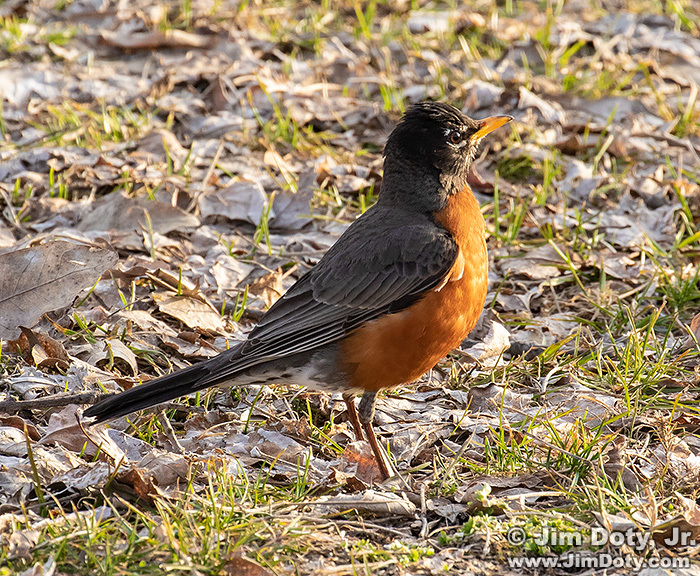 Based on my photographs, robins tend to show up in Columbus Ohio in February. My guess is they have been delayed in arriving in Iowa due to the very long winter. This is my favorite photo for March 18.